For Klaus Strassmeier, Director Research Branch "Cosmic Magnetic Fields" at the Leibniz Institute for Astrophysics (Potsdam, Germany) and the lead of the PEPSI project, " .. a statement on performance of PEPSI, its place among other instruments on 8-10m instruments, and its importance for stellar physics ..., "
For Christian Veillet, Director of the Large Binocular Telescope Observatory (LBTO), " ... Importance of PEPSI for the observatory ... "
The LBT is an international collaboration among institutions in the United States, Italy and Germany. 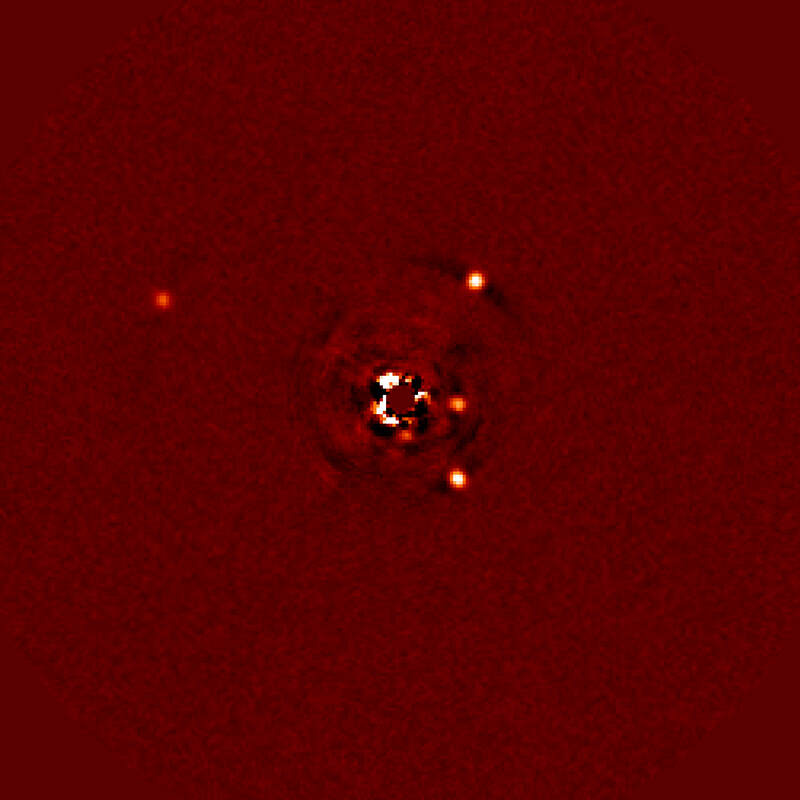 LBT Corporation partners are: The University of Arizona on behalf of the Arizona university system; Istituto Nazionale di Astrofisica, Italy; LBT Beteiligungsgesellschaft, Germany, representing the Max-Planck Society, the Astrophysical Institute Potsdam, and Heidelberg University; The Ohio State University, and The Research Corporation, on behalf of The University of Notre Dame, University of Minnesota and University of Virginia. 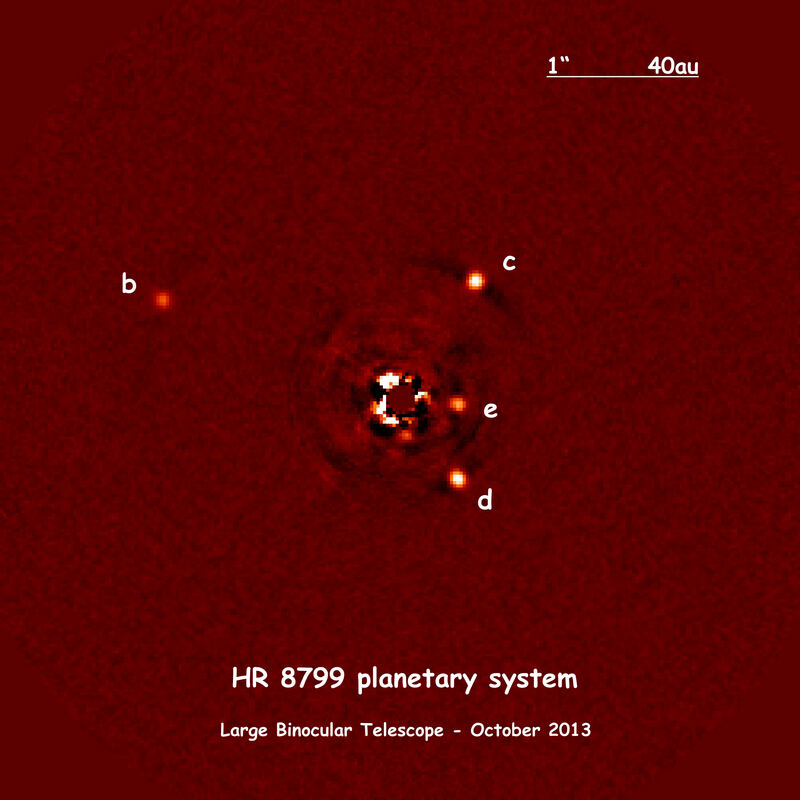 The planetary system of HR 8799. 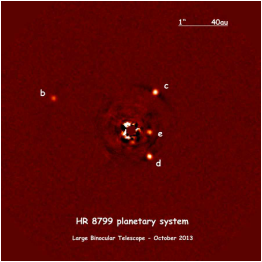 Most of the light of the star has been erased by the processing of the images and the four planets, identified from b to e in the order of their discovery, are easily detected.